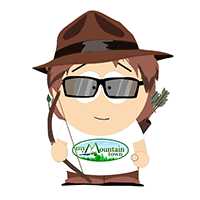 Do you like reading these My Mountain Town posts? How about making them? IMHS needs media folks. This means making posts here, keeping the calendar updated, doing other social media and maybe even writing stories for local publications. IMHS also needs fosters for both dogs and cats. You could help us by opening your home up just for a weekend sometimes or maybe up to a couple of months--YOUR call! Another great need is grant writers. IMHS gets NO money from taxes or government so we rely upon private donations and need grants to help us expand and do more for this community. We can teach you how to do any of this and then set you free to do it, almost all from home!